I am in my late 30’s and I read that a night cream and oils are important in this age. So I searched online of the best night rituals that are perfect for my age and skin type. I am using Clarins night cream for 2 years already. I like the consistency of it and the scent. The Kiels Midnight Recovery is perfect for my dry skin. The Kiels eye cream is soothing and perfect for my tired eyes. 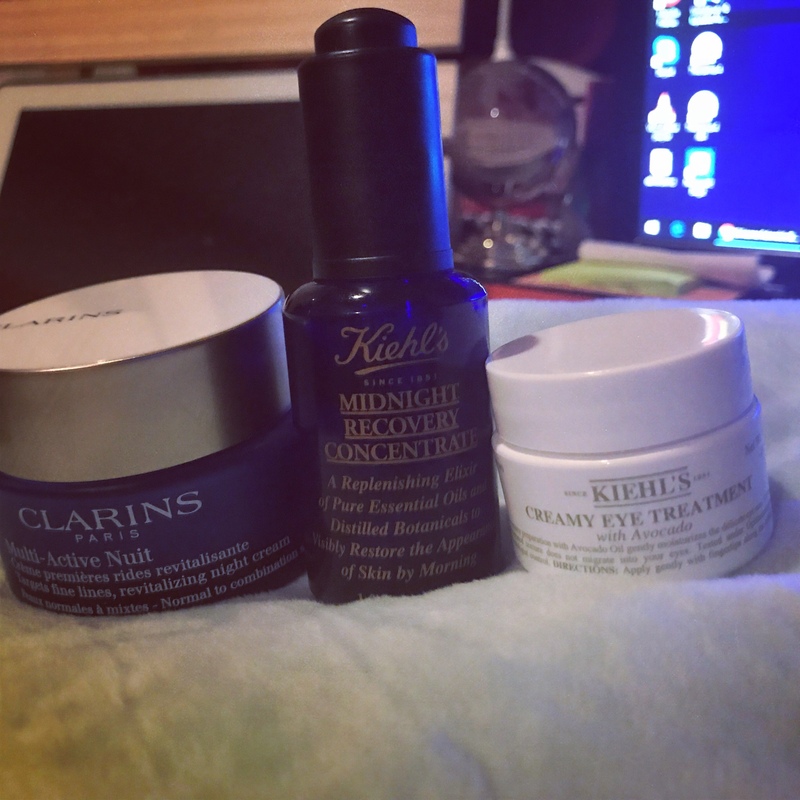 So apply first the Kiels Midnight Recovery then let it set in my face, then next the Clarins night cream and the Kiels eye cream and I am ready for my beauty rest.